We were presented with hair care and skin care products by Kracie company. I know most of us do not know what is Kracie, so let me give you a brief history on Kracie. Kracie was once known as Kanebo and was renamed to "Kracie" in 2007. Pretty surprising eh? 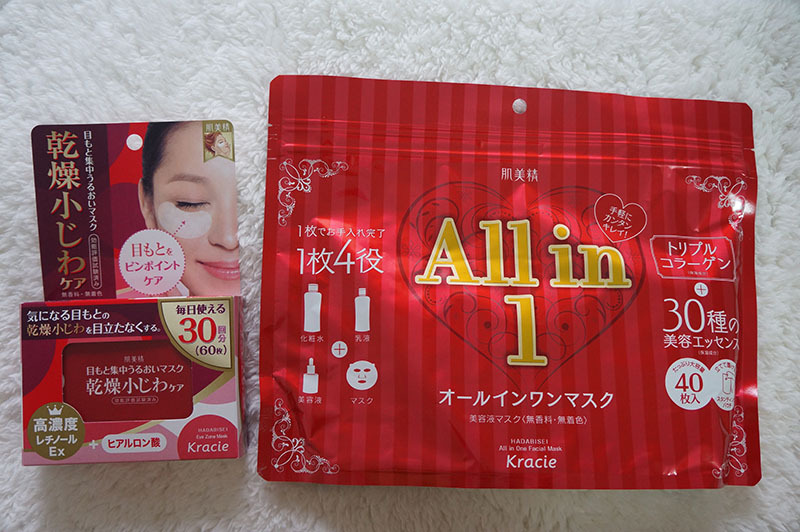 Kracie is one of the biggest Japanese in Japan as it produces products that is important in daily life, such as food, pharmaceuticals, cosmetics and toiletries. It has a slogan "Taisetsu-na-koto, Kracie" that has the meaning of "Kracie, for the important things in life". It simple means that Kracie gives close attention to every small detail of your life while remaining sensitive to seasonal changes. It was a fun Halloween event with Kracie and The Butterfly Project Malaysia. The Butterflies were dress up as cute as they can to match with the Kawaii (cute) theme of the day. A series of Ichikami hair care products and Hadabisei skin care products were placed on the tables, waving to the Butterflies and welcomed us from afar. I was excited to see the famous hair care brand, Ichikami on the tables as I'm totally love the shampoo and conditioner for its nice scent. Ichikami's tagline "Hair smoother than silk" holds the concept of the importance on Repair and Prevention to get the beautiful and healthy hair. It is formulated with "Pure Japanese Botanical Essences" that specially designed to solve the hair problem such as dryness, frizzy hair and damaged hair. This is Mr. Kojima, a Japanese representative from Kracie company. I'm pretty surprise that he could speak well in Mandarin! He is a very friendly guy that gives explanations patiently. It was an honor to dine in with a humble and funny guy from Japan. 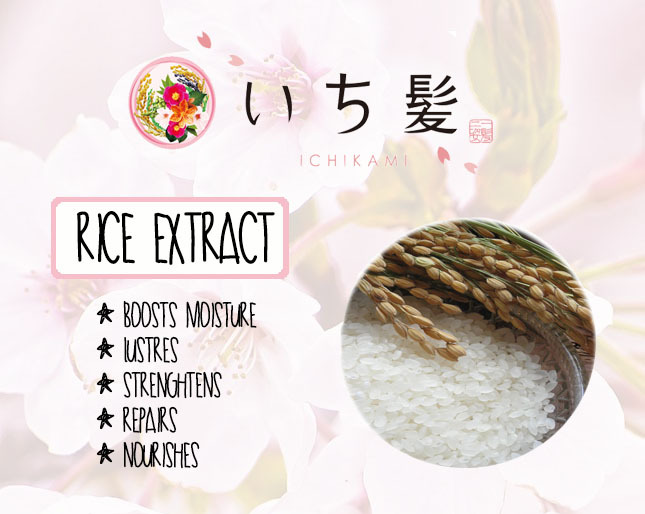 The signature ingredient in Ichikami hair care line is rice extract. Yeap, you read it right, it's rice. It was a saying that the ladies in the past believed that the beauty of a lady is to have a long and silky black hair. They used rice to protect and treat the hair as their precious. Ichikami adapted this incorporated the rice extract into the products for moisturising and lustring the hair. Ichikami has two hair care lines: Moist Care and Smooth Care. Moist care line aims to hydrate the hair and scalp, give the maximum moisture needed to both the hair and scalp. In more context, Moist Care line solves the hair problems such as brittle hair, split ends, dry hair and dull hair. Smooth care line on the other hand, aims to improve the smoothness of hair and repair the damaged hair at the same time. Smooth care line has won several rewards such as "Most Adored Hair Hair Care Item". Smooth care line sis more suitable for those who have tangled and frizzy hair, permed and colored hair, oily hair and stiff hair. Ichikami hair care and styling series are available for different hair solutions. They are formulated with Rice Premium EX (Yusuru essence, oil and protein from rice bran), with 6 kinds of Japanese Essences (Belanmcanda, Camelia, Soapberry, Walnut, Sasanqua, Sakura) to nourish, repair and moisturise the hair. 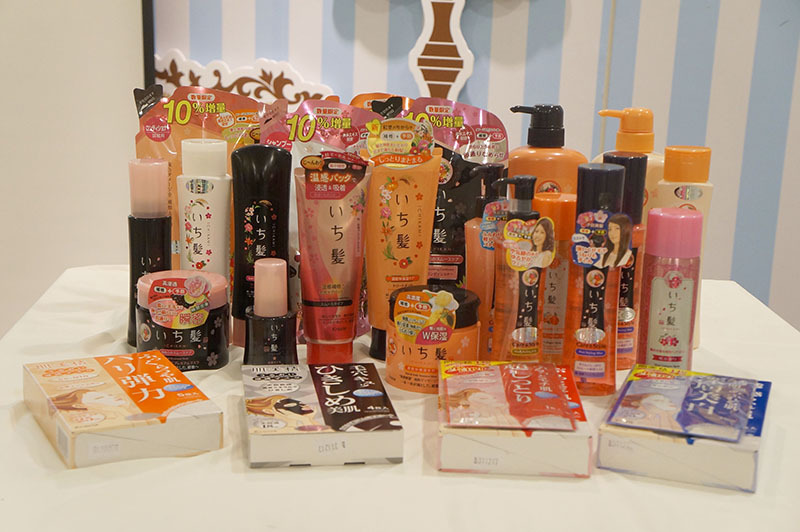 Apart of Kracie's Hair products, Hadabisei was also being featured in the event. Hadabisei has been popular with its hydrating sheet masks to solve different skin trouble needs. 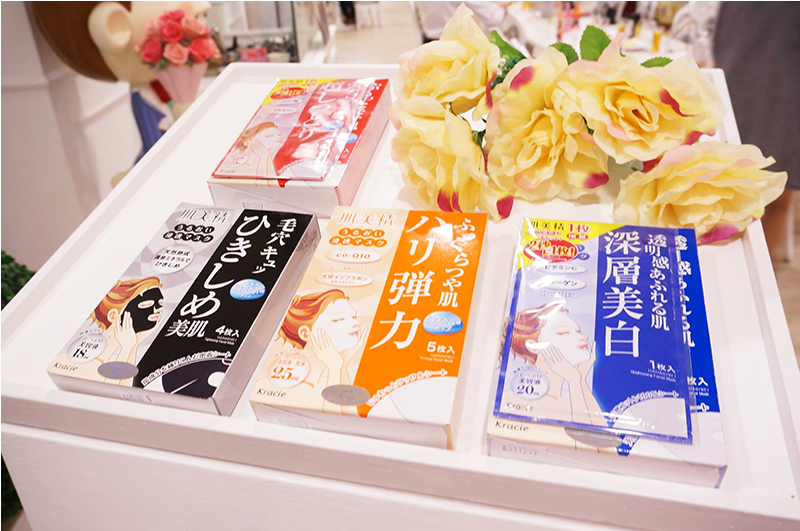 There are a few interesting sheet masks from Hadabisei such as the All-in-1 sheet masks (at the right) that gives the benefits of toner, serum, moisturiser and facial mask. Another interesting sheet mask is the Eye Zone Mask (at the left). It aims to reduce wrinkles and brighten the eyes area for a youthful look. Ichikami and Hadabisei are available in Malaysia market. If you love the natural yet flowery scent to linger on your hair, feel free to check out Ichikami hair care lines and be indulged with the scent. If you have run out of mask and would love to try out new sheet masks, Hadabisei could be your choice for a more moisturised skin. Excellent job in this post. Love the before and after picture. Really creative! 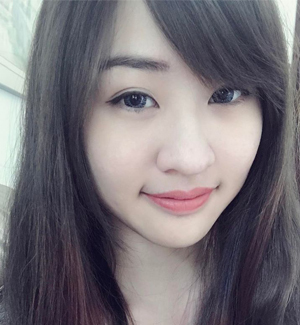 omg your post..is amazing man... Furfer you're improving a lot in the quality of your post... I REALLY LIKE WHAT U R DOIN! Thank you Cik Limau Nipis! Nice to meet you!